If you don’t know what FuturoCoin is, we’ve got you. FuturoCoin is a virtual currency that had its debut on the cryptocurrency market at the beginning of 2018. It has quickly become very successful amongst traders. It’s decentralized and it has its own blockchain. But what’s most special about this cryptocurrency is the profit that it offers. The miners can make even a 50% profit. So if this description looks interesting for you, don’t wait, get a hold of your own FTOs now! What’s the competition all about? The rules are pretty basic. All you need to do is trade. It’s that simple. The one who reaches the highest turnover – wins! The more you trade, the higher is your chance to win! So go on and start trading to receive a reward. And the reward is certainly worth fighting for. BTC/FTO market is the only one that counts in our competition. 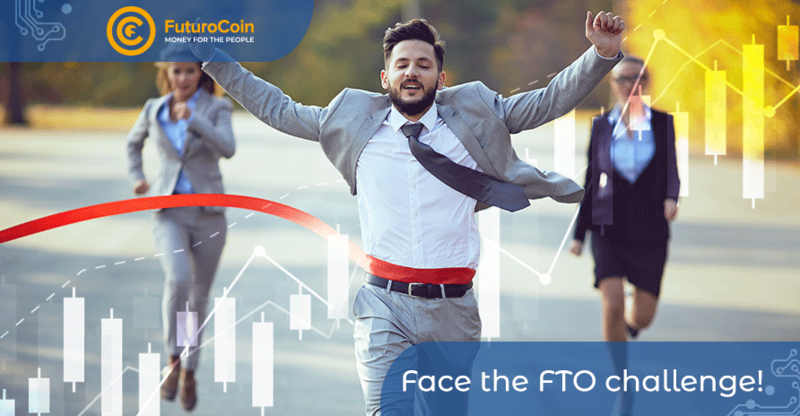 If you want to be able to win, you need to trade FuturoCoin for Bitcoin and vice versa. That’s the only condition. The competition starts on 30th November 2018 and will last till 14th December 2018. So enter the competition and keep trading! The prizes are waiting for you!